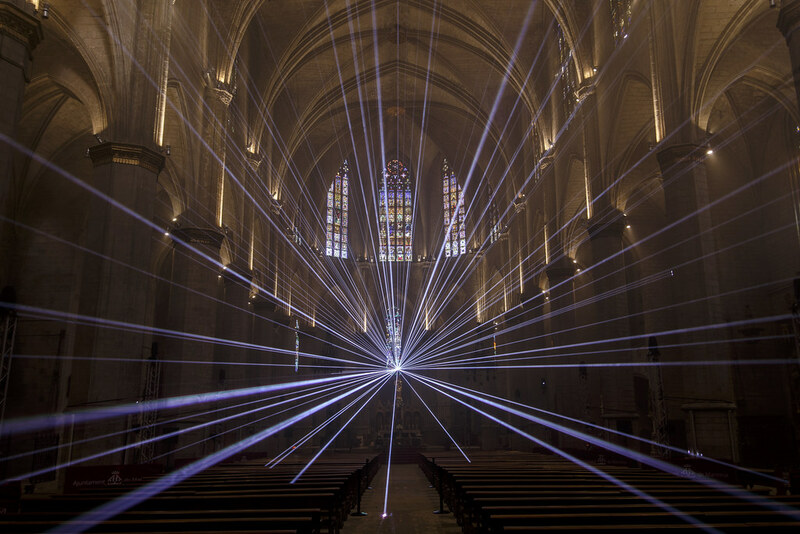 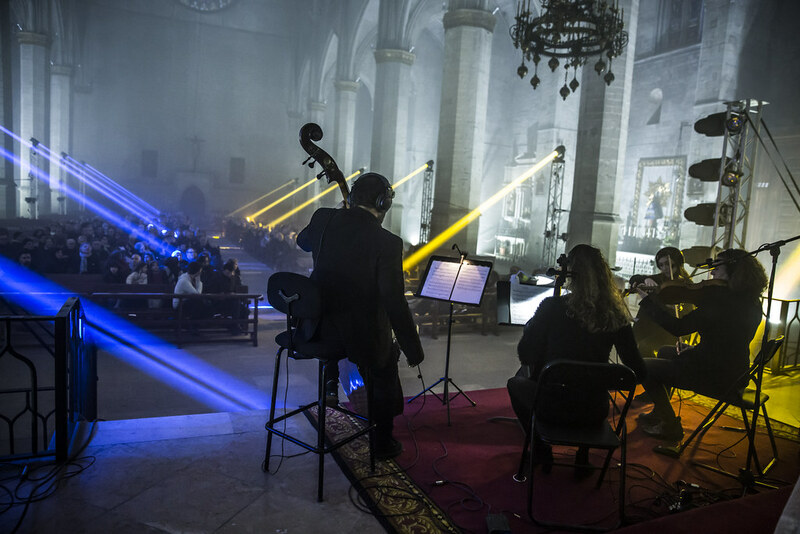 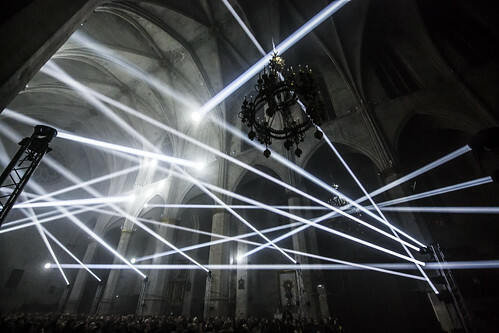 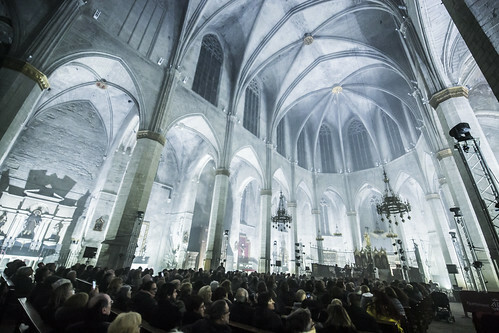 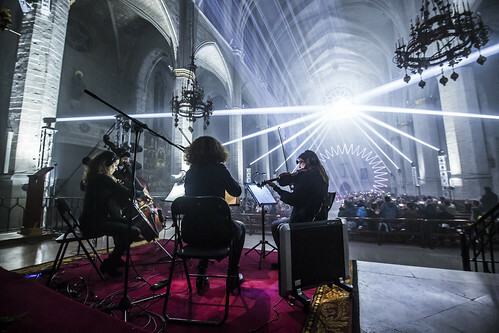 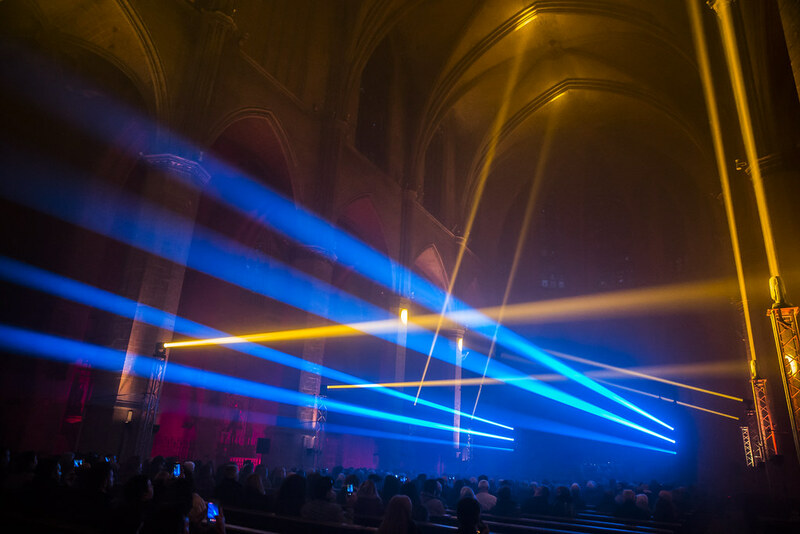 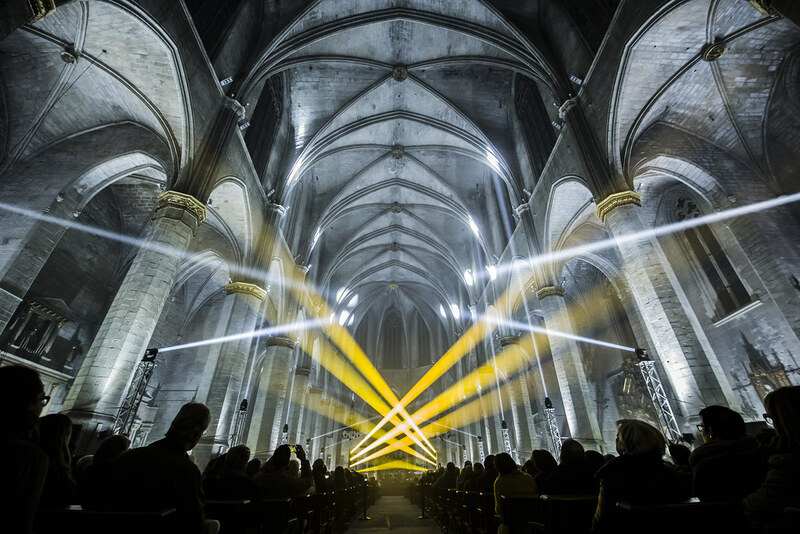 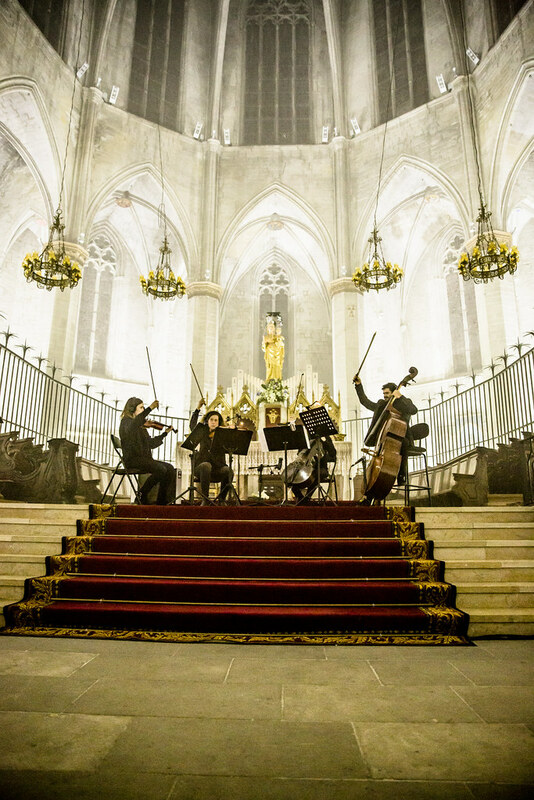 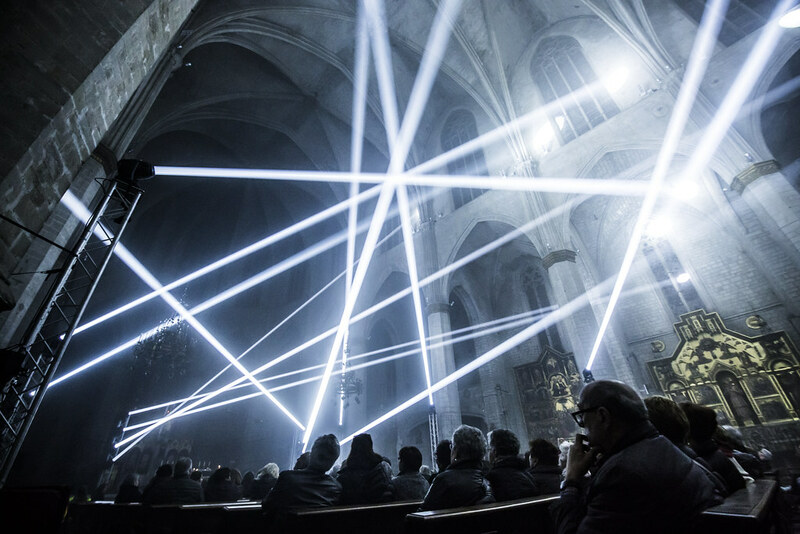 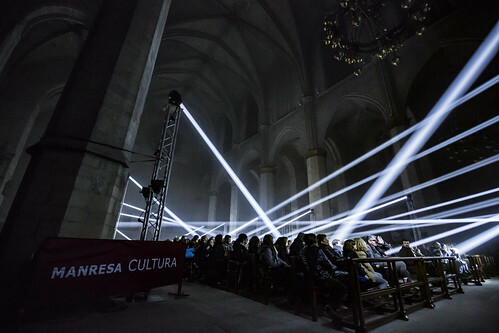 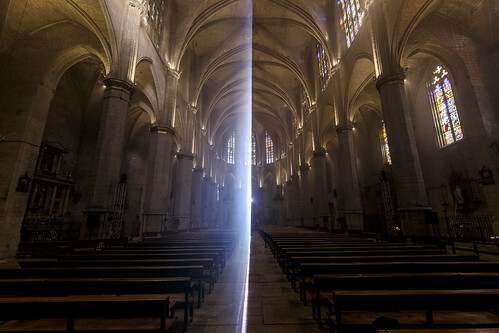 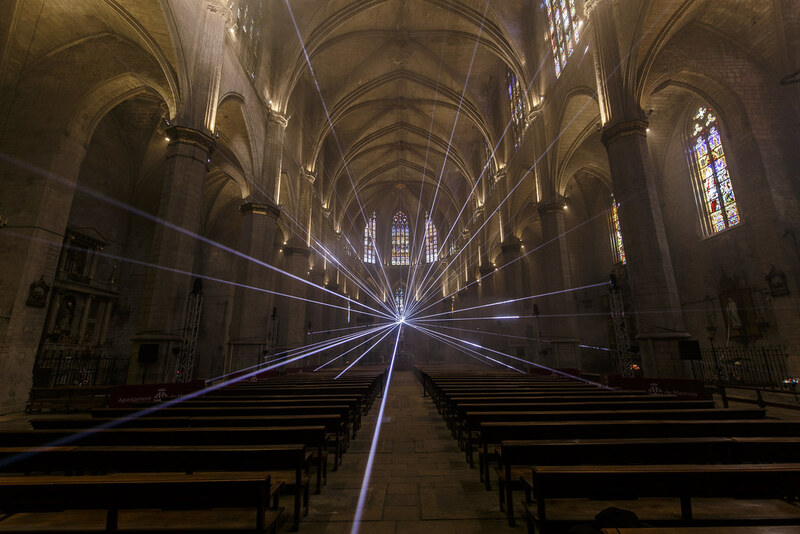 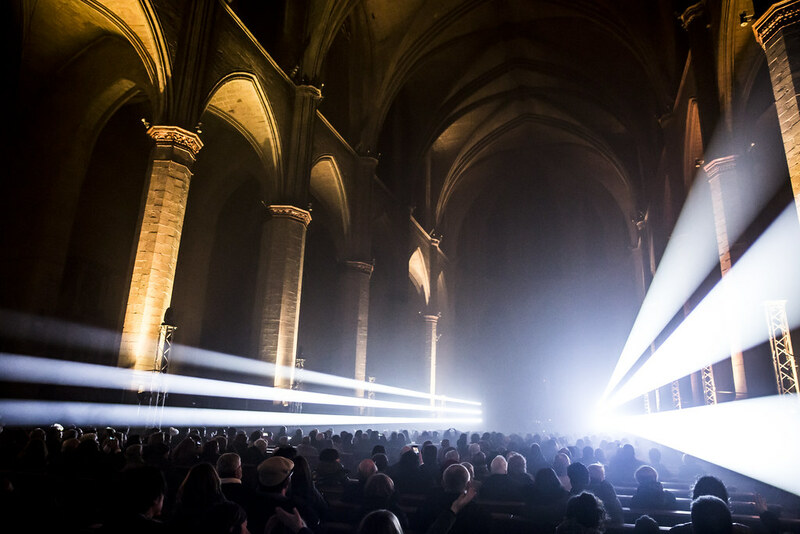 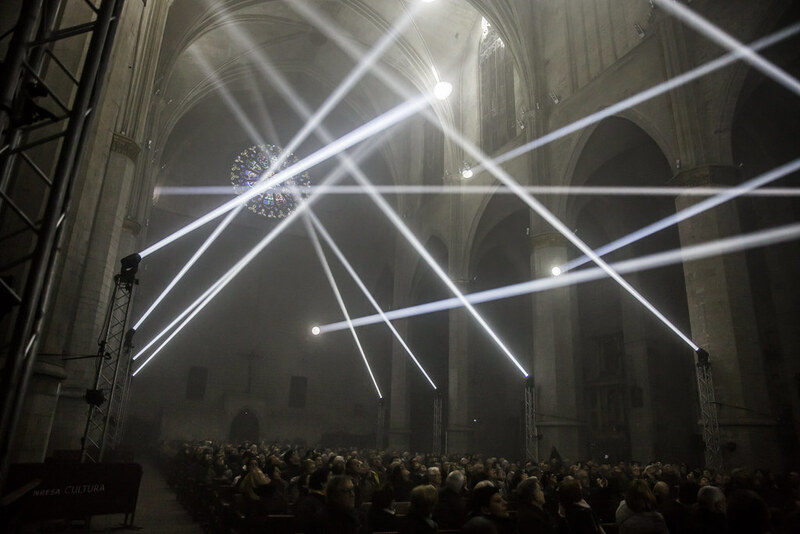 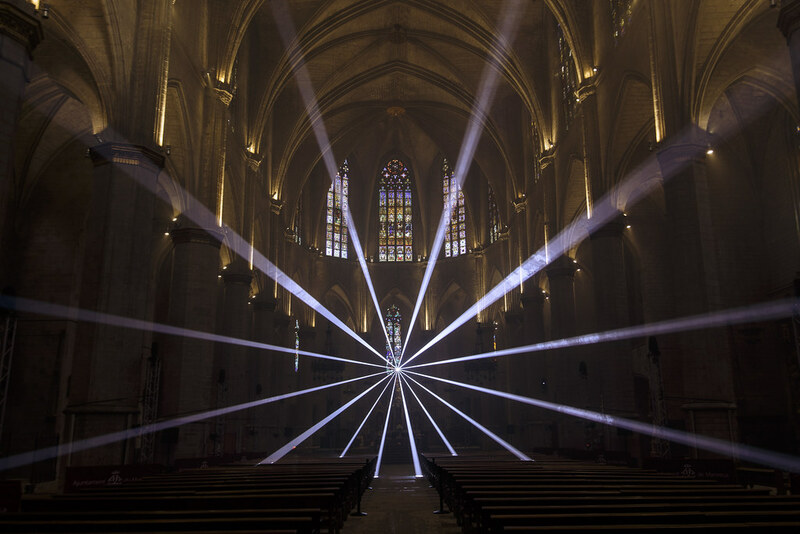 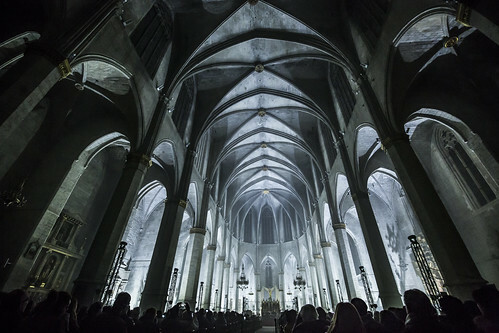 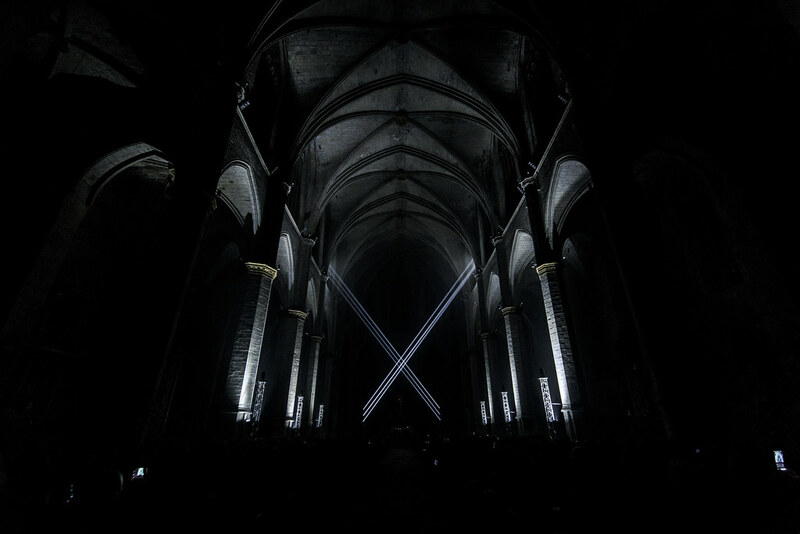 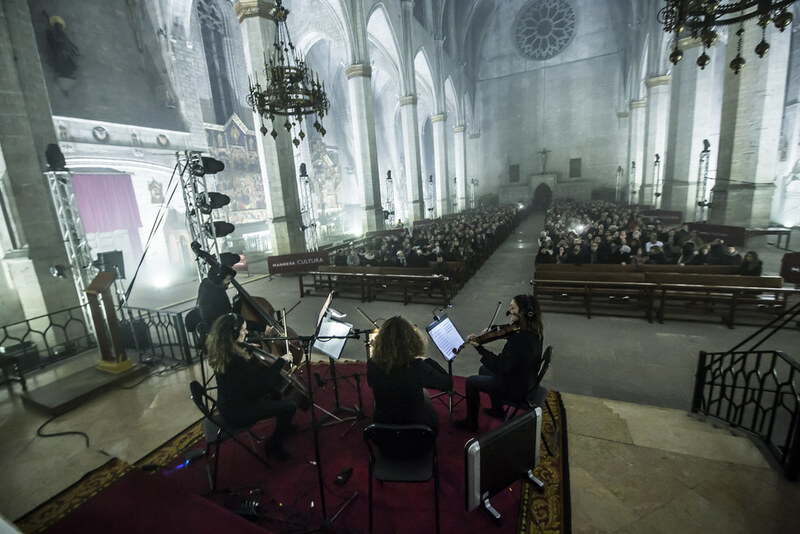 As part of the closing acts for the catalan cultural capital, the city of Manresa hosts a light and sound performance in its gothic cathedral, a majestic architectural milestone built on the XIVth century. 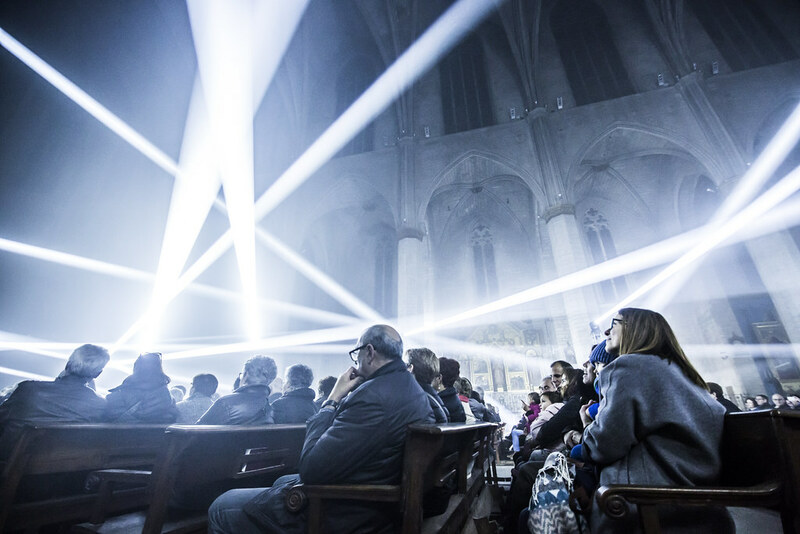 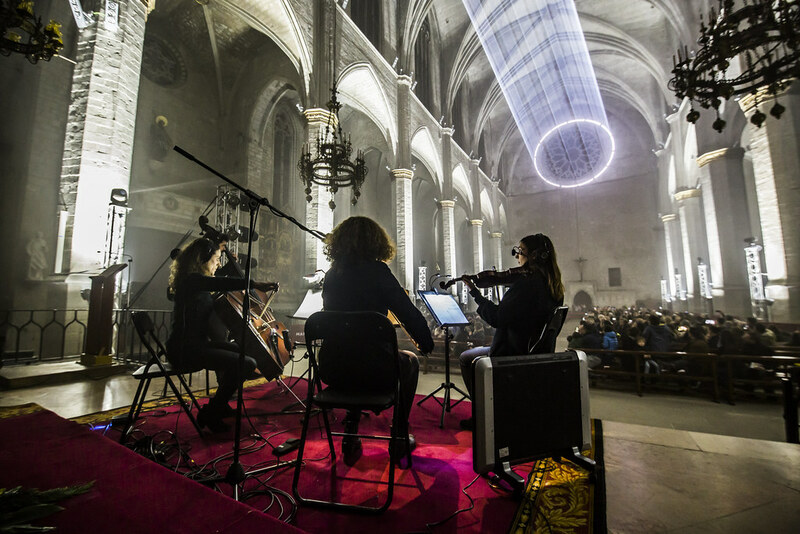 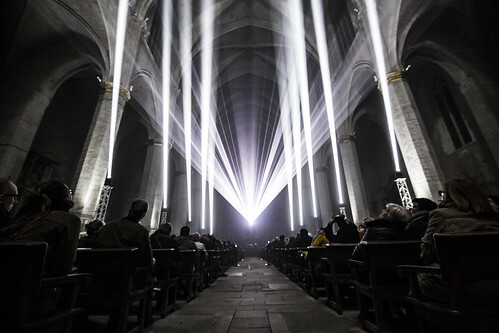 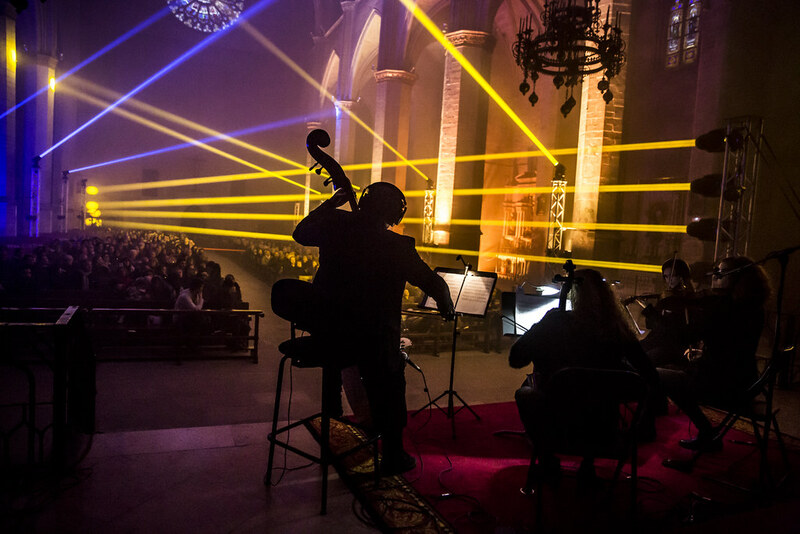 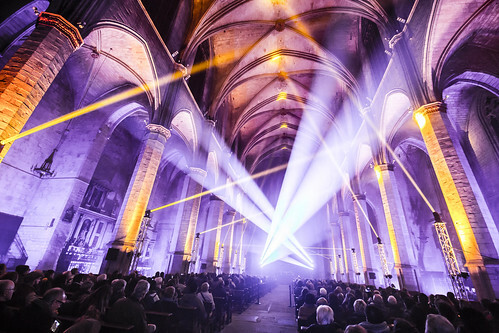 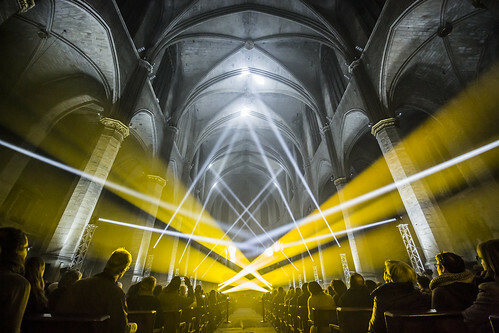 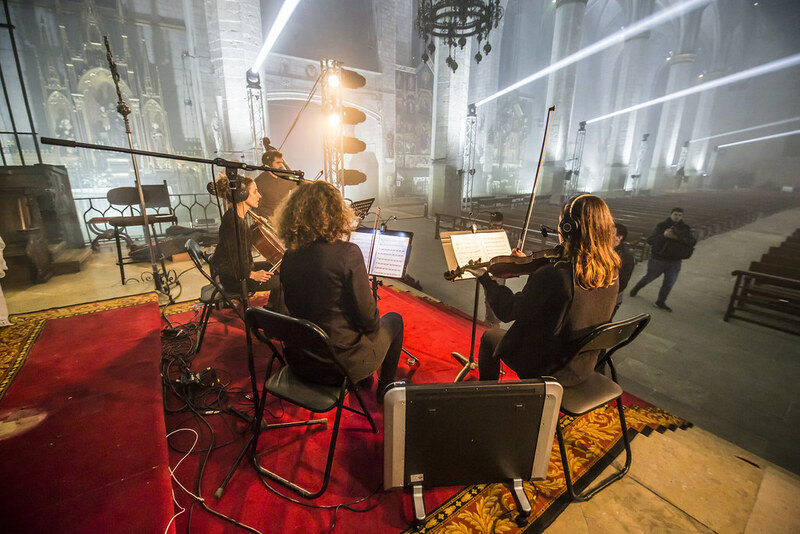 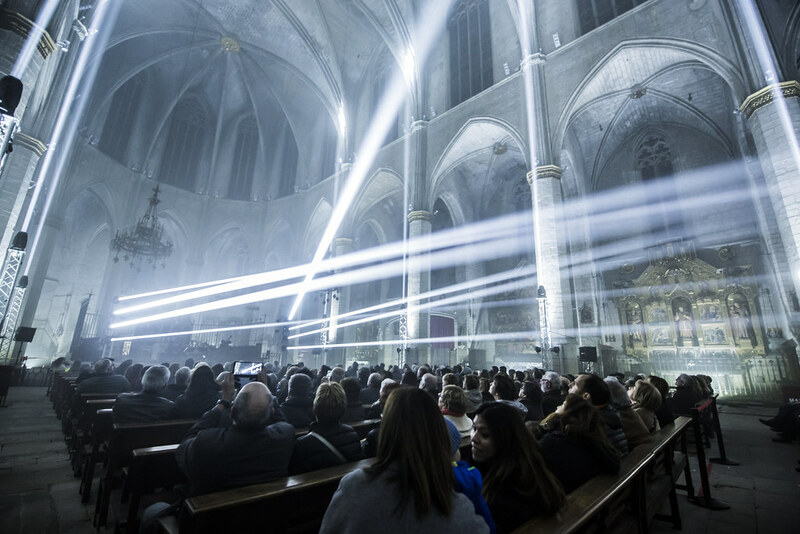 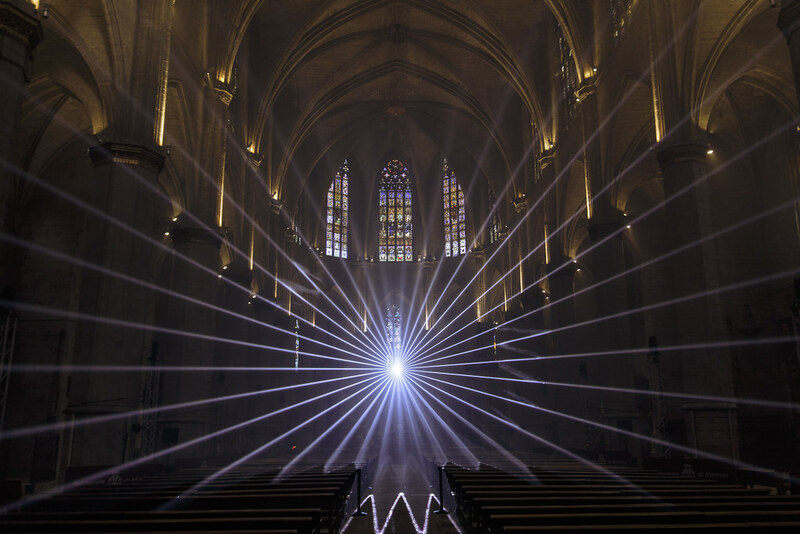 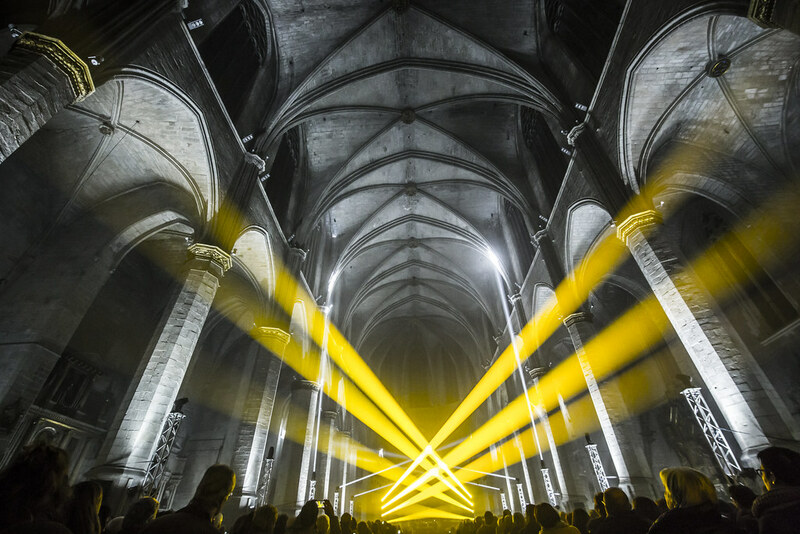 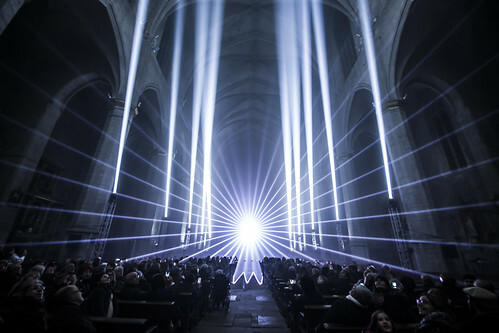 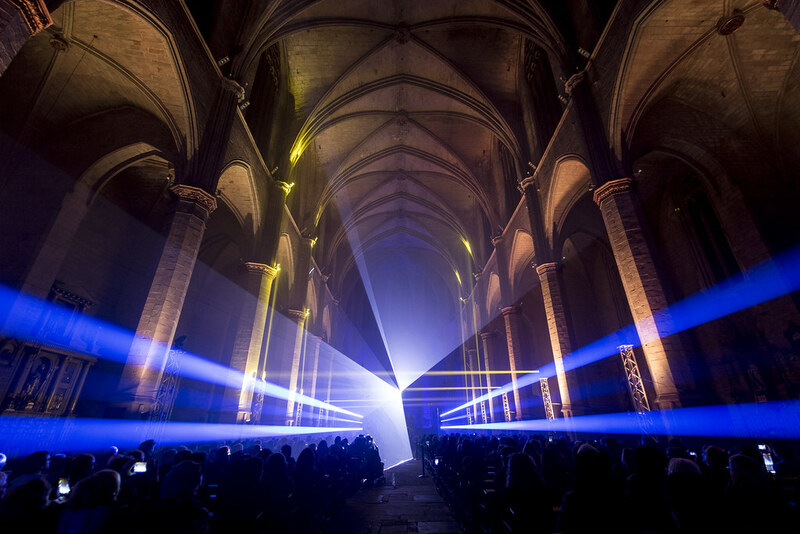 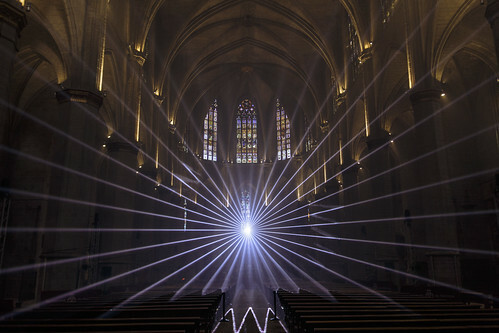 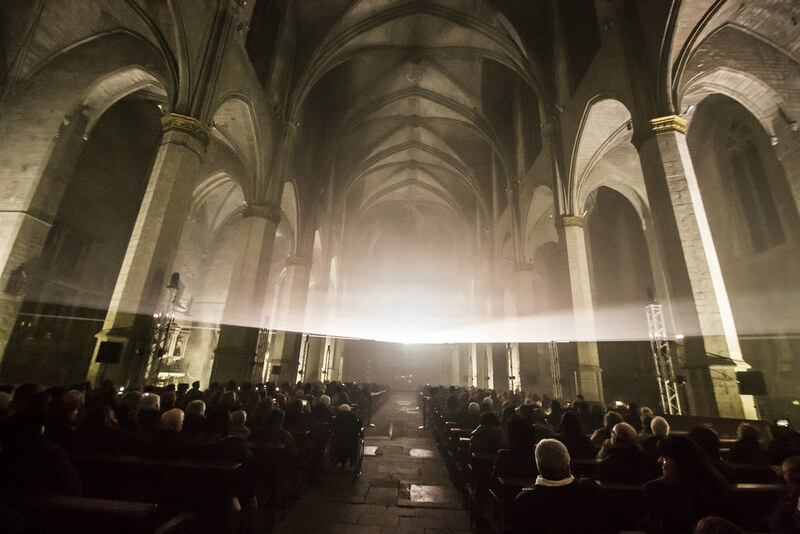 Lux Mundi is an audiovisual re-interpretation of a local legend, “the Light Miracle”, and takes form inside the basilica. 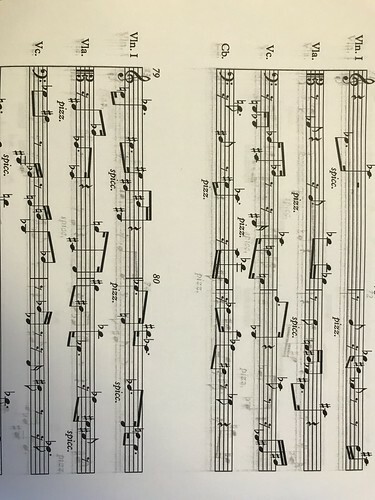 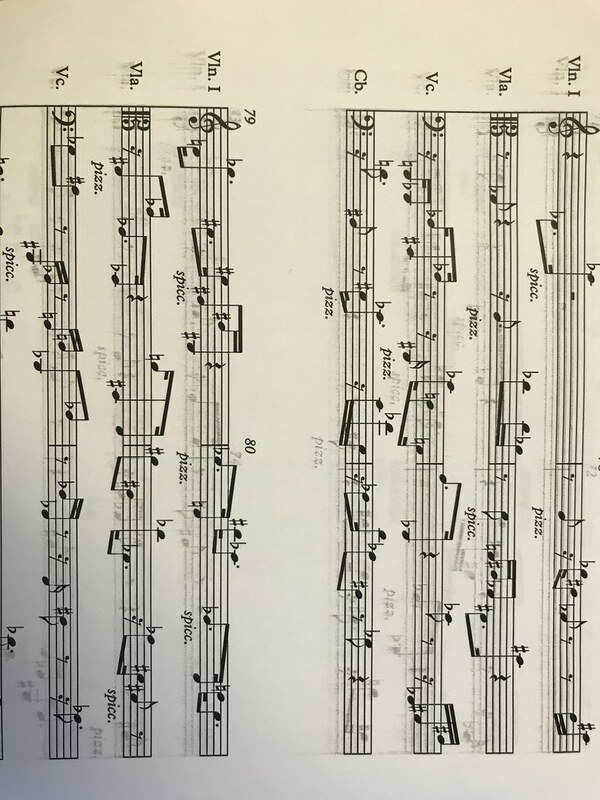 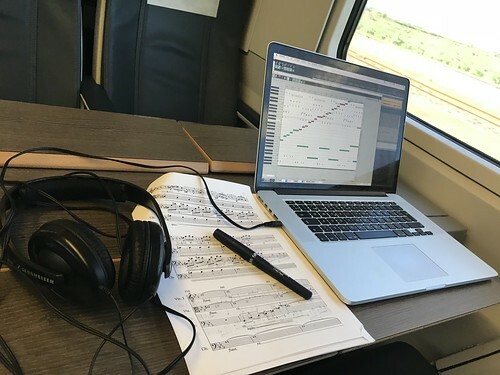 A 15 minutes show that spans through 4 different acts, lead by an original music composition performed by a string quartet and electronic music support. Visually, the central nave of the church is taken by a set of light beams that create geometries which are related to the architecture itself. 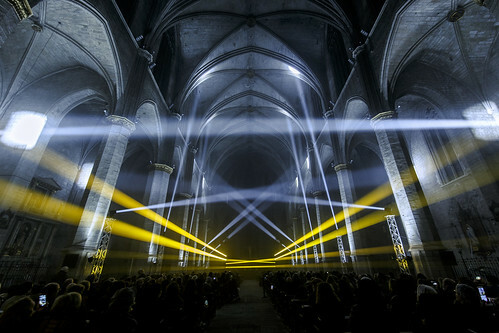 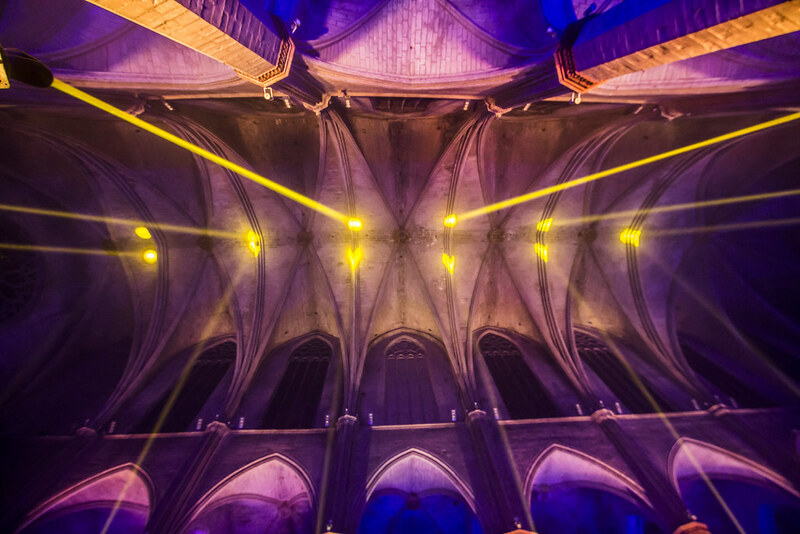 In addition, multiple architectural lighting fixtures wash the different chapels that surround the nave, creating an oniric feeling on the audience. 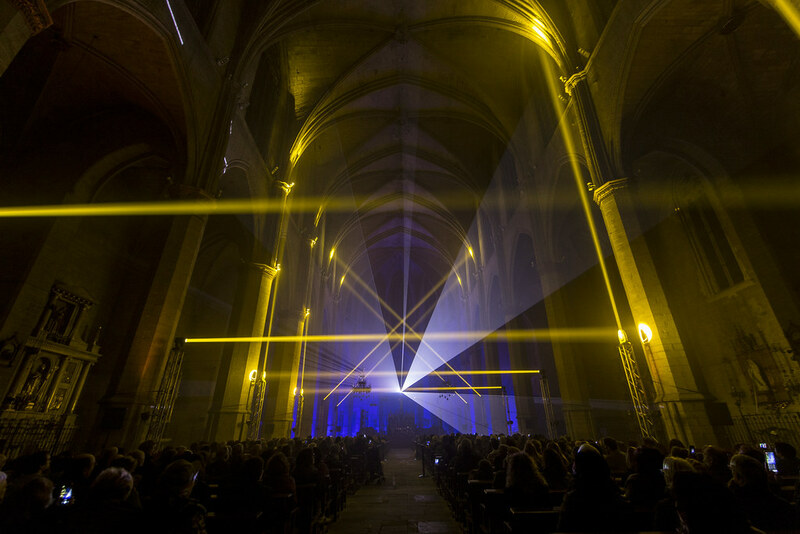 A laser scanner accentuates this otherworldly universe, immersing the audience inside the performance. 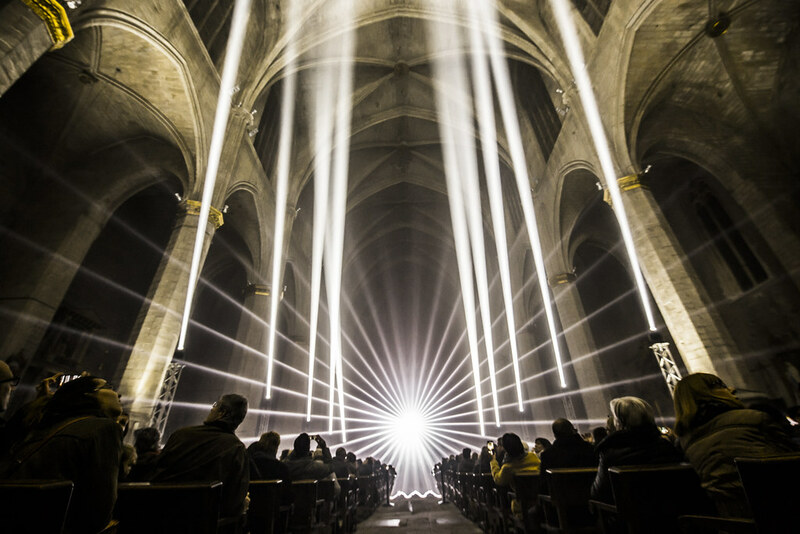 The dynamics of light are strongly related to the music, searching for a unified language of sound and light in a visual music experience. 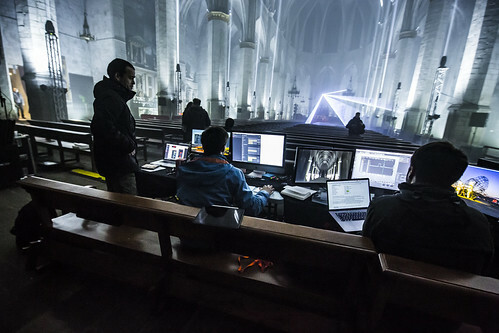 To accomplish this, a set of software tools have been developed specifically for the show: 3D simulation, algorithmic music composition, sound and light synchronization or laser and moving head control tasks are assisted by this self-engineered tools. 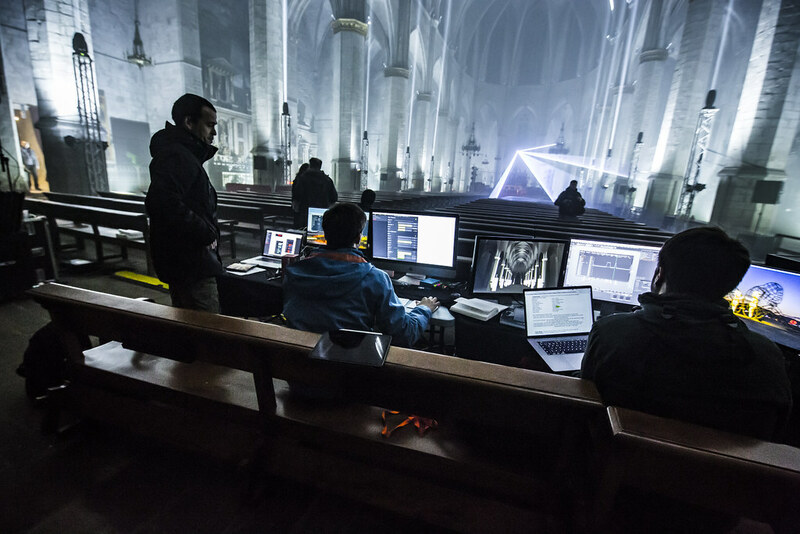 The responsible team for this show is formed by light and motion graphics designers, software engineers, a music composer, string players and hardware providers.